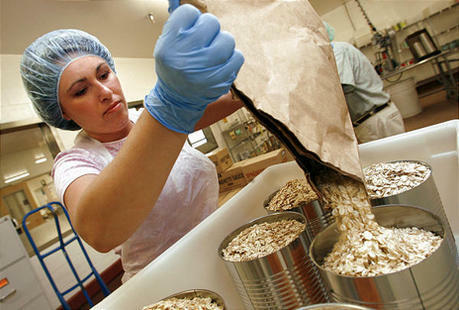 Contrary to a published report, The Church of Jesus Christ of Latter-day Saints is not closing its food production canneries and is not limiting the variety of goods that are available to church members for consumption and storage. "Over time, we will be reducing the number of facilities where the packaging of dry goods occurs," LDS spokeswoman Ruth Todd said Monday. Even then, she added, the church's "home storage centers will offer the same or additional commodities in pre-packaged form, at no additional cost." The statement comes as a result of questions from a number of different media sources following a blog post asserting that "LDS canneries east of the Mississippi will no longer be canning any food at their facilities beginning June 27, 2013." That, Todd said, is not accurate.